Compared to walking with a locked leg brace, a stance-control orthosis is a brace that helps create a more natural stride. 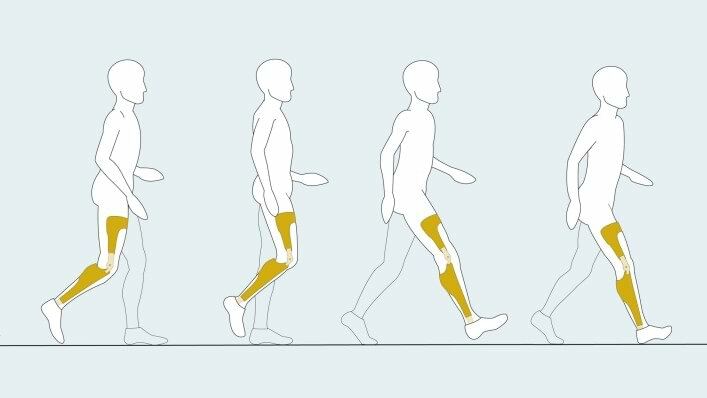 “Stance control” means that instead of stability coming from a locked knee joint, the brace is able to lock and unlock at just the right time while walking. You may have seen or experienced a hip hike or other unnatural motions that come from walking with a locked knee brace. The Stance Control brace family helps avoid the physical strain and damage these abnormal movements can cause over time. Stance Control braces closely mimic natural gait, or walking, and help the wearer cover the variable terrain they face every day, from carpet to grass to uneven tile. The type of brace called a “Conventional KAFO” locks when your knee is fully extended. Imagine trying to move or walk without bending your knee. Some of these braces have a manual way to lock and unlock the knee – meaning that the person wearing the brace has to push a button or move a lever to unlock the knee joint and allow for movement. 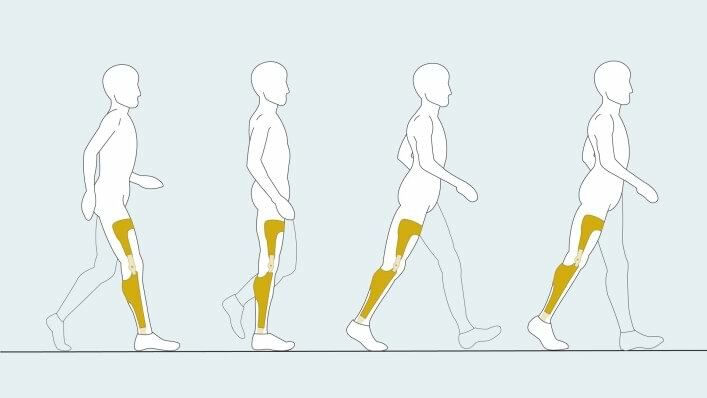 A locked knee forces the person to find ways to walk despite the inability to flex the knee, which leads to compensatory movements that are often described as a “vault” or “hip hike” to allow the leg in a brace to move forward a step. This takes more energy, and ultimately leads to overuse and other complications, even damage of the leg. Many people avoid braces entirely rather than using a locked knee brace, also limiting their independence and stability. Stance Control Braces allow the wearer to walk more naturally. In the short-term, that means more energy to spend moving forward and less wear and tear on the body. People who use stance control braces often comment that they—and those around them – are much less aware of the device, and simply think about what they are doing.